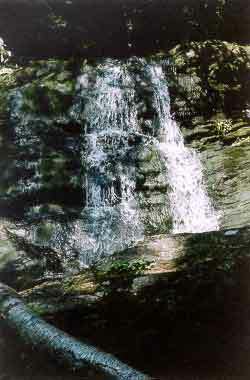 Water falls down a nearly vertical ledge and down a shoot. Downstream from the falls the river passes through a narrow channel and the rocks and into a pool. The pool is big enough that you can dunk in and get wet.